Gone are the days when IAM stood for SSO, centralized policy management and automated user provisioning. In a world full of uncertainties and data breaches, Identity and Access Management (IAM) must deliver more than ever, faster than ever, for businesses to succeed at building trusted relationships and delighting customers at every interaction. Consolidation, integration & automation (CIA) of IAM are magic ingredients for achieving better visibility, speed, intelligence and risk mitigation. 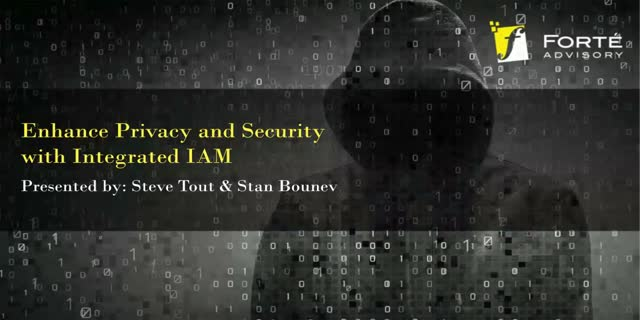 Viewers can learn how privacy and security are not only enabled by, but become more powerful through integration with modern IAM. - Steve Tout, President & CEO, Forte Advisory, Inc.